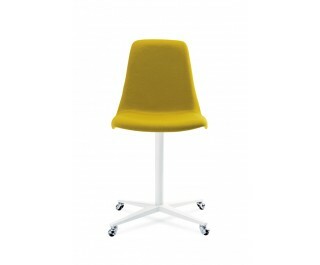 Chair designed in the ﬁ fties with natural ﬁ berglas shell and frame with centralleg, X-base in white or black lacquered steel. Available with castors or adjustable post. Available also with upholsterd seat covered with fabric or leather.